Can Network Security and Business Agility Get Along? The simplicity of secure HIP-based networking offers relief for IT teams struggling to meet the demands of business units. 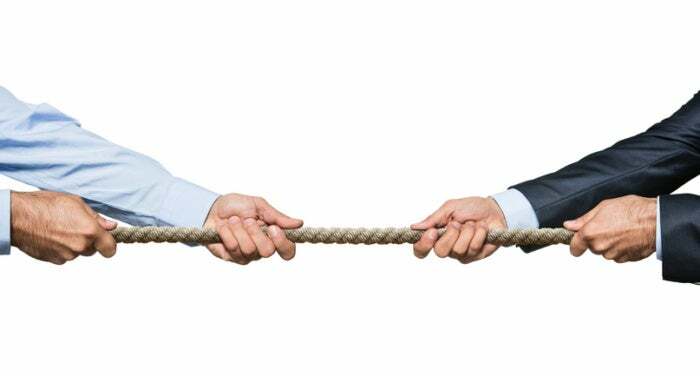 The demands for business agility and tighter security are in conflict. The first requires quick and responsive implementation of whatever is needed to take advantage of business opportunity. But that runs headlong into the management of network access and security policies. Automation and orchestration are the keys to overcoming this conflict, but the inherent flaws of IP networking are the fly in the ointment. It’s no surprise that businesses are overwhelmed by the challenge of cyber security. In the 2017 Network World State of the Network report, protecting against data breaches and leaks was the top challenge cited by both enterprise and small to medium-sized business (SMB) IT decision makers. Part of the problem lies with lack of automation to augment understaffed Security Operations Centers (SOCs). By implementing the TCP/IP protocol to make it easy to find computer devices, it became easy for malicious users to attack devices—they could use IP addressing not only to locate and identify another device, but also to spoof their own addresses to make it difficult to deflect an attack. Implemented commercially with Tempered Networks’ Identity-Defined Networking (IDN) products and services, HIP makes it possible to easily create secure network overlays based on cryptographic namespace identities. The Tempered Networks Conductor, a policy management and orchestration engine, makes it possible to create hub-and-spoke or highly distributed mesh networks without the traditional network challenges. As a result, end-to-end or peer-to-peer encrypted networking is now possible and can be done in as little as three steps, even for traditionally non-routable endpoints. The simplicity of secure HIP-based networking offers relief for overburdened IT teams struggling to meet the demands of business units. For more information, download this white paper on the Identity-Defined Network architecture.